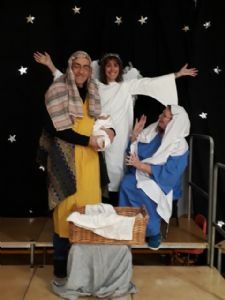 "Sharing Christs love in Frampton Cotterell, Coalpit Heath & beyond"
Thank you for visiting our website. We aim to become a church where everyone is welcome, whether they have a strong faith in Jesus Christ, or, at the present time none at all. There are events during the week and of course services and activities at the weekend. Please click on 'Forthcoming Events' to find out more. In addition we have a number of small groups for people if you'd like to become part of one of these, please simply ask us. We place a strong emphasis on whole life discipleship so that faith makes sense wherever you live or work. When we gather together we hope to help each other to become equipped to be 'the best that we can be' wherever God sends us. The Assembly Team at Work!! For those who know about these things we are a United Church having allegiance to both the Methodist Church and also the United Reformed Church. We became a United Church in 1968, for more of that see our History Pages. Zion United Church is committed to the safeguarding of children and vulnerable adults to ensure their well-being.